TOLEDO, Ohio -- An Ohio father and his adult son are facing kidnapping and child endangerment charges after a 13-year-old girl claimed she was held captive and chained in their home for more than a year, reports CBS affiliate WTOL. Timothy Ciboro, 53, and Esten Ciboro, 27, were arrested early Thursday morning at a home in north Toledo. The girl reportedly said that the men, her stepfather and stepbrother, kept her shackled by the ankle to a support beam in the basement of the home. She told police she was fed spoiled and old scraps of food and forced to go to the bathroom in a bucket, the station reports. The girl was reportedly able to escape the home after the two men went out for a run, the station reports. “The young lady, through her own strength and ingenuity, she managed to free herself from that situation and make her way to the home of a past acquaintance,” Robin Reese, Lucas County Children Services executive director, said at a Thursday press conference. The acquaintance then called police, Reese said. The child reportedly told police she lived at the home with the two men and her two siblings. When police arrived at the home, the elder and younger Ciboro were allegedly attempting to flee in a van with the other two children and two pets. Investigators reportedly uncovered a gun and a map to Oakwood, Ohio - about 200 miles south of the home -- inside the vehicle. Police reportedly obtained a search warrant and found a large set of handcuffs chained to a support beam in a basement, along with an ammonia-filled bucket. The girl didn’t appear malnourished, the station reports. Police say the elder Ciboro is a former Toledo firefighter. 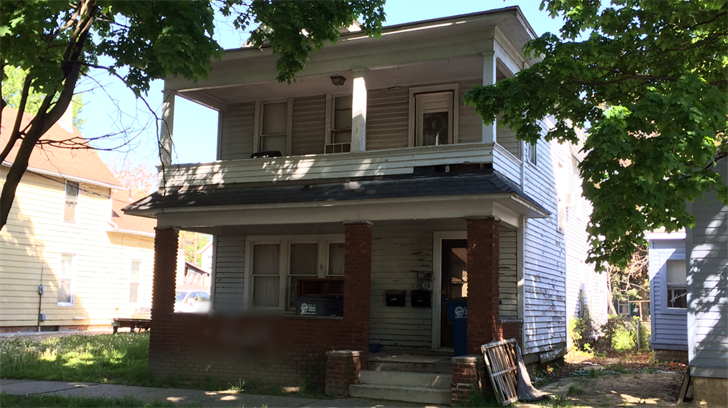 The family reportedly had contact with Lucas County Children Services in 2014 when a neighbor saw a child eating food out of a trash can. The children were reportedly not removed from the home because they didn’t appear malnourished. Reese said the family is religious and the children were home-schooled. She said her agency is in the process of reviewing past contact with the family to investigate whether policies were followed.